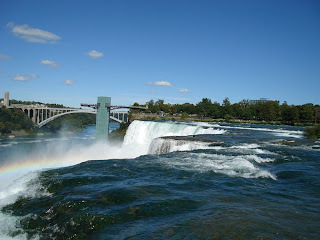 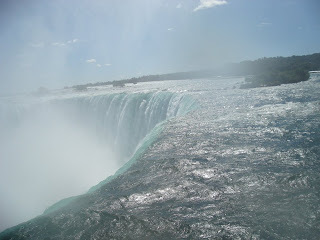 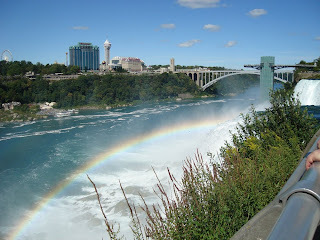 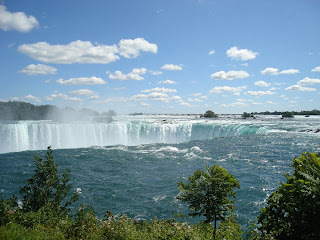 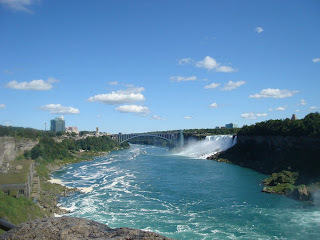 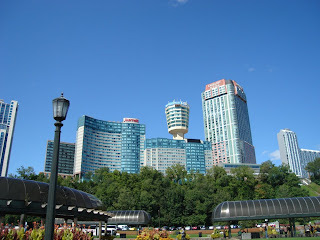 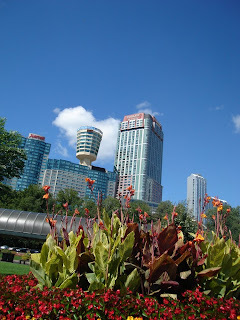 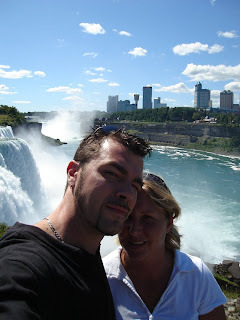 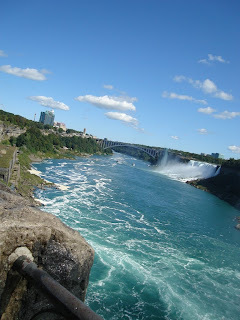 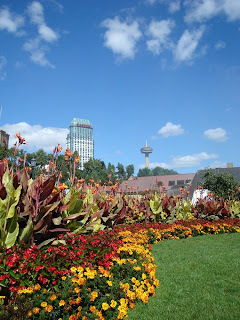 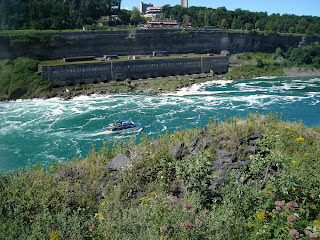 Below are pictures of the Canadian side. 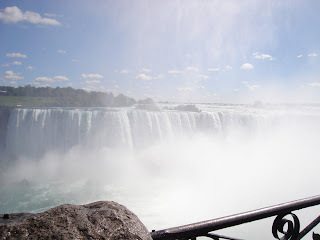 The images may be a bit foggy but it is due to the mist that comes off the falls (particularlly the Canadian side on this day..). 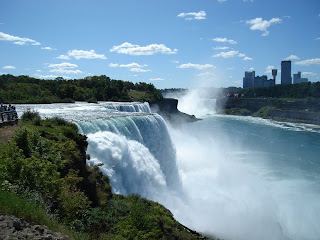 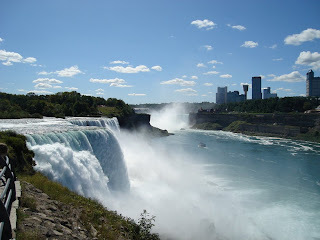 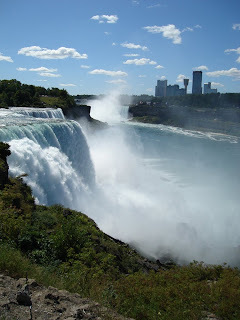 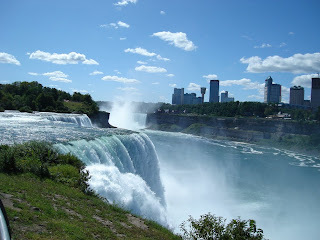 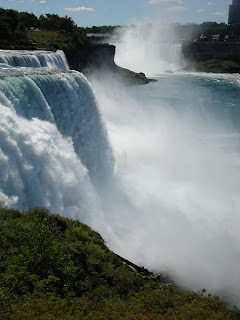 The falls emites a mist that practically 'rains' upon you. 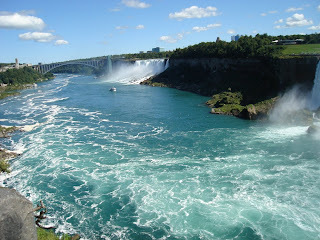 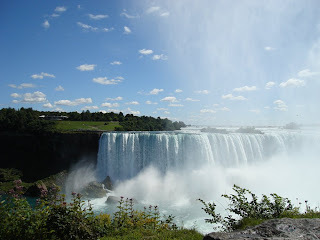 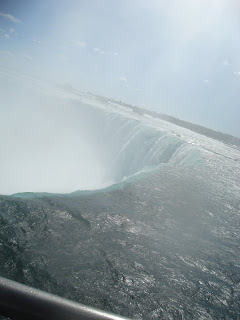 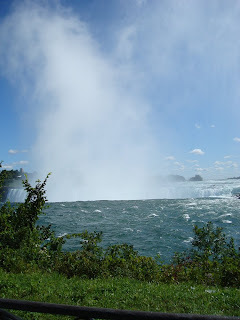 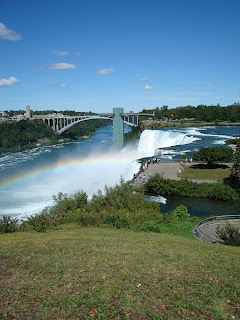 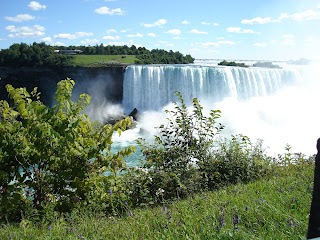 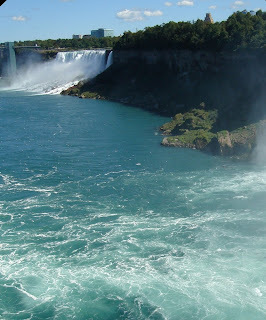 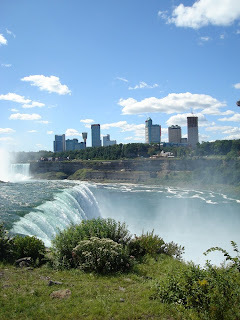 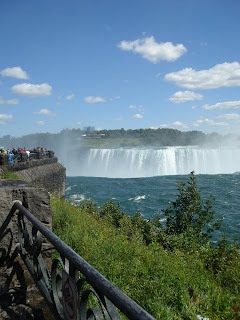 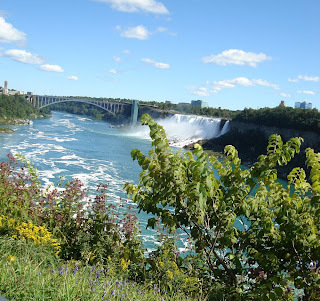 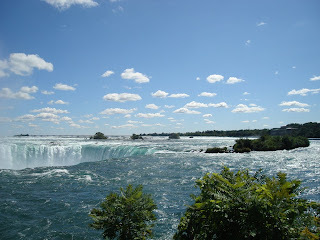 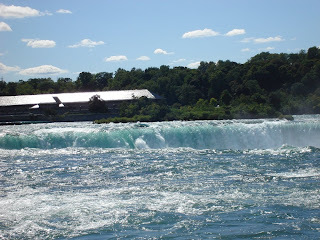 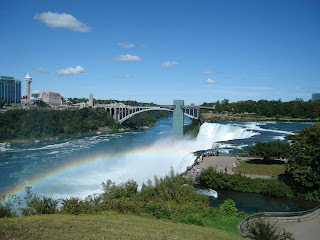 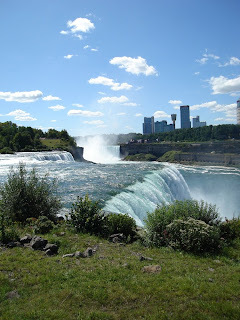 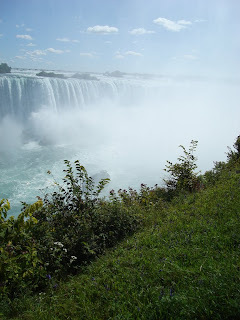 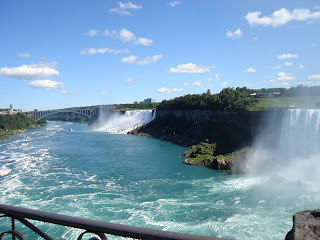 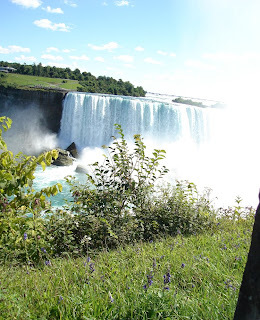 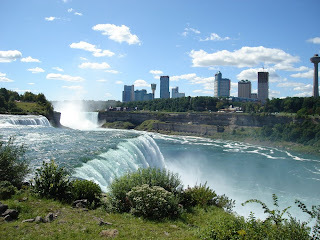 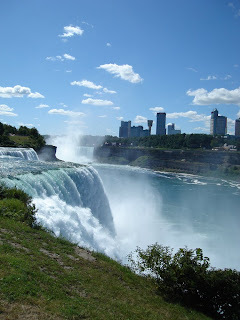 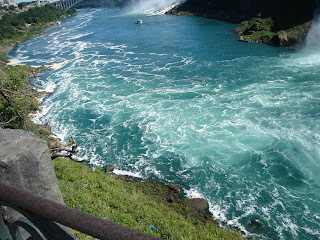 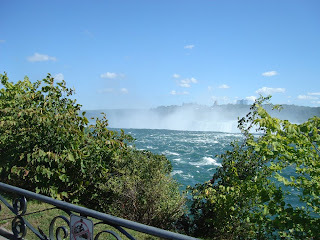 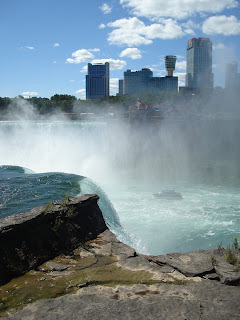 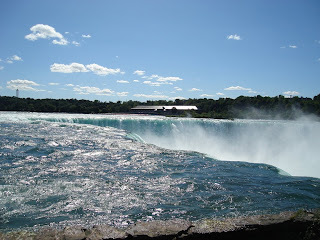 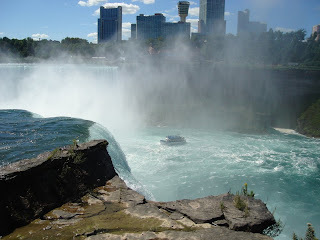 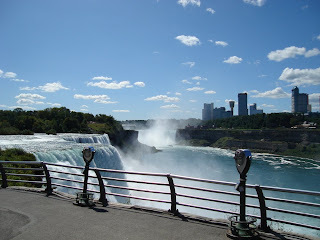 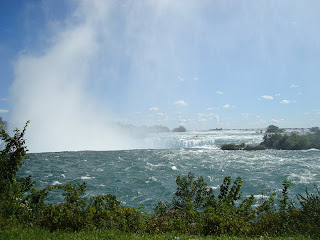 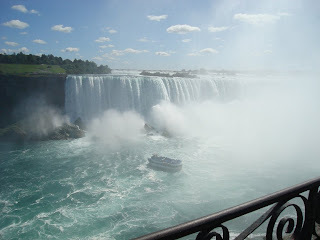 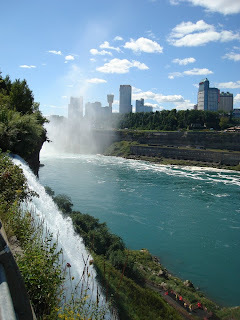 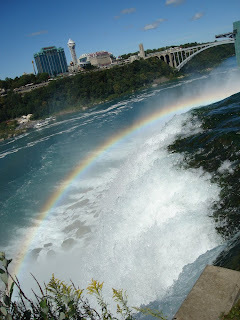 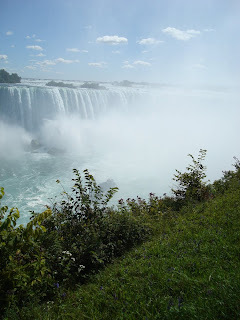 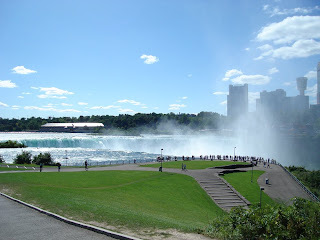 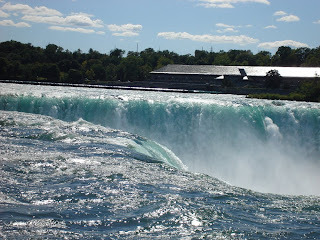 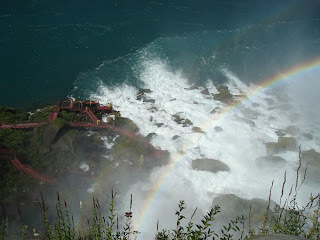 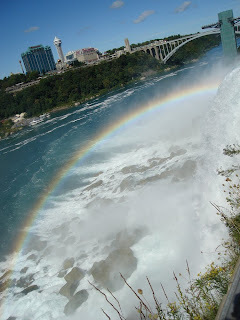 In some of the pictures, you can see a boat that will take you into the falls (called the Maid of the Mist) though we did not do it due to time constraints. 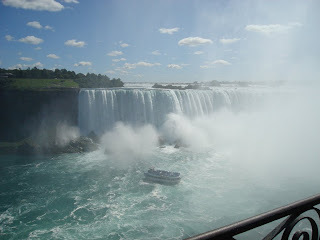 Great trip, definately worth the 2000 miles traveled.